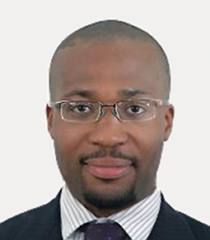 Obiora Okoye currently works as a Project Director, Energy Project Development for General Electric in Nigeria. His work is primarily focused on providing early stage development support for energy projects ensuring they are well structured and bankable with adequate risk/return profiles. Prior to GE, he spent 5 years as a Senior Investment Officer at the African Development Bank where he was involved in structuring and financing renewable and conventional energy projects in the Eastern and Southern Africa region. He was part of the team that financed Eskom’s $1.3 billion Wind and Solar project in South Africa. At AfDB, he was nominated to work with USAID’s Private Capital Group for Africa in Washington DC on the design of the U.S. Government’s Power Africa Initiative launched by President Obama in June 2013. Prior to joining the Bank, Mr. Okoye was the Commercial Manager for Mart Energy Resources, an independent Canadian exploration and production company focused on developing West African oil and gas fields. He also co-founded Made Lifestyles Limited in 2005, a full service bespoke lifestyle Management Company. Mr. Okoye holds an MBA from the University of Chicago Booth School of Business and an MSc in Energy Finance from the Centre for Energy Petroleum, Mineral Law and Policy, University of Dundee. He also graduated with a BA in Economics with Accounting and Finance from Oxford Brookes University, UK. Mr. Okoye is an outdoor enthusiast with a strong sense of adventure. He enjoys sports, reading, art and fine cuisine. He is married with two children.